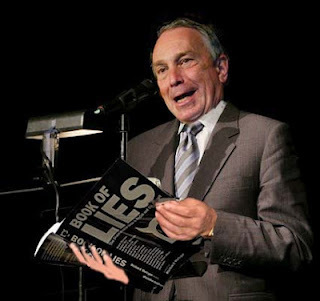 Chaz's School Daze: There Is No Excuse Mayor Bloomberg And Chancellor Walcott For Your Failure To Narrow The Racial Achievement Gap. Instead It Actually Widened! There Is No Excuse Mayor Bloomberg And Chancellor Walcott For Your Failure To Narrow The Racial Achievement Gap. Instead It Actually Widened! 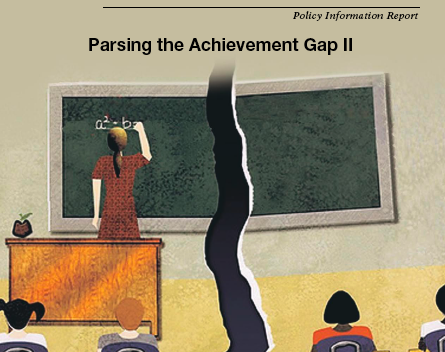 With the release of the 2012 test scores for the elementary and middle schools the data shows that the student racial achievement gap has widened since 2006. As Mayor Bloomberg's ed deformer friends would say, there are no excuses for the widening of the racial achievement gap if his educational policies were working. Therefore, the Mayor and Chancellor must take the blame and the "accountability" for their failure to narrow the racial student achievement gap between whites and minorities. In 2006 the ELA racial achievement gap between Blacks and Whites was 30.5% which has widened to 32.1% in the latest 2012 results. The differences between Hispanics and Whites in 2006 was 30.7% and widened to 33.1% in 2012. The racial achievement gap also widened between Blacks and Whites for Math. In 2006 the racial achievement gap was 29.4% and in the 2012 results widened to 31.6%. One bit of good news is that the achievement gap between Hispanics and Whites actually narrowed a little.. The entire report can be found on the DOE website. Malsie McAdoo has taken apart the entire report and her conclusions, which I share, show that the Bloomberg/Klein/Walcott reforms have been a failure and even the miniscule rises in the school report are questionable. Her analysis is in Edwize and can be found here. To read and hear the Mayor's press releases, one would think that the schools were improving. However, these statements are higher distorted truths and downright lies. In other words the Mayor's claim of significant improvement of student academic achievement is a "bunch of crap" The bottom line is that the local news media must hold the Mayor and Chancellor "accountable" for the widening racial student achievement gap and question the failed policies of this Administration that has put their political motives first and the "NYC public school children last. Chaz, I know you know better than to hold your breath waiting for the Murdoch controlled Post & Daily News and the scare of potential Bloomberg ownership Times to tell the truth about Napoleon and his failure. Pretty clear why the downfall has occurred. Look who fills up the jails, look who's schools are closing. These students think they can do whatever they want and believe they are ENTITLED to everything. Convicted felons in public schools, other students cursing and threatening teachers all day, no consequences. They get to school whenever, no pen, no notebook, but $180 sneakers which came from govt assistance and cell phones in use all day. Yea, great to be a middle class taxpayer. How does one shrink the racial achievement gap in a segregated society. You don't. We'll set you up with an acct. to publish on the site whenever you like. P.S. I would have emailed... but I couldn't find an address.